This former fisherman’s cottage had operated as a holiday cottage for many years before our clients took it over with a view to making their permanent home there. The existing house was clearly too small for their needs and a large extension, more than doubling the size of the house, was added. We were conscious of the need to avoid overwhelming the existing building. In such cases mimicking the old often proves to be the wrong approach – instead we drew inspiration from the form of the existing cottage while introducing new materials to express the additions. 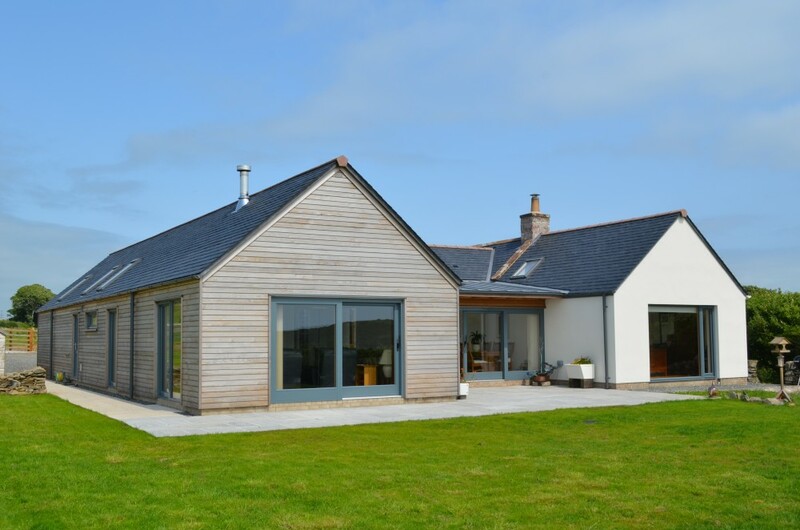 The existing cottage was fully refurbished – insulated wall linings were added and the new underfloor heating system also covers the existing rooms. 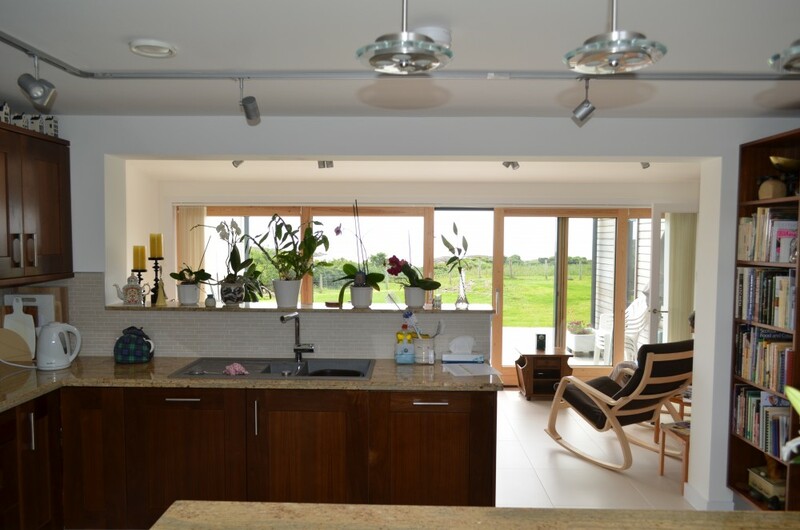 A new kitchen was placed in the heart of the home with an adjoining sunroom / dining space harnessing the views out to sea. The living space features a generous vaulted ceiling, as a counterpoint to the low ceilings of the existing cottage.